Now you can study the Bible with the faculty of the Moody Bible Institute! Imagine having a team of 30 Moody Bible Institute professors helping you study the Bible. Now you can - with this in-depth, user-friendly one-volume commentary. Scripture being commented on is shown in bold print for easy reference, and maps and charts provide visual aids for learning. Additional study helps include bibliographies for further study and a subject and Scripture index. General editors Michael Rydelnik and Michael Vanlaningham have led a team of contributors whose academic training, practical church experience, and teaching competency make this commentary excellent for anyone who needs help understanding the Scriptures. This comprehensive and reliable reference work should be the first place Sunday school teachers, Bible study leaders, missionaries, and pastors turn to for biblical insight. 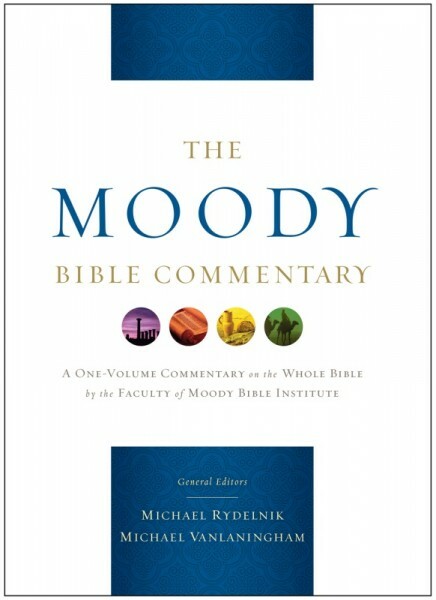 The Moody Bible Commentary will help you better understand and apply God's written revelation to all of life!